"If someone thinks that Karnataka will not get share out of Tribunal judgement, I think he is living in a fool's paradise. How can it happen. The river flows through three states, so each state has some right over it, water also." Stressing on the issue raised last month in his letter to Karnataka BJP chief B S Yeddyurappa, Chief Minister Manohar Parrikar reiterated that sharing of Mahadeyi river water is inevitable with the source of the river in Karnataka. “If someone thinks that water cannot be taken by Karnataka, he is living in a fool’s paradise. He does not understand law. A river which flows through Karnataka, how can you deny water to them… they cannot take the water to some other area. They have to drink it or they have to use it in that area. I have precisely written the same thing,” Parrikar said in a post cabinet briefing. In a letter to Yeddyurappa last month, Parrikar had spoken of fulfilling the drinking requirements of citizens in northern Karnataka. The water dispute between Maharashtra, Karnataka and Goa is more than three decades old, with the next hearing at the Mahadeyi tribunal expected this February. “Whatever rain falls in the Mahadeyi basin comes into the Mahadeyi river. Every state gets a reasonable share. River sharing act too says one cannot carry water from a deficit basin to another basin. The issue before the tribunal is whether the Mahadeyi basin is in deficit or not. 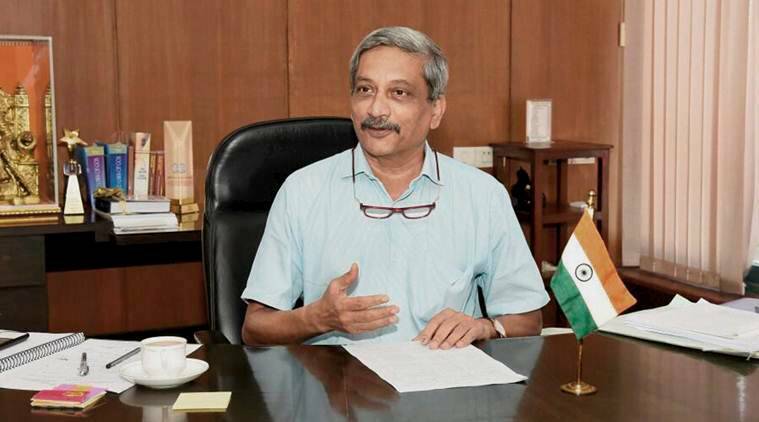 We have given documentary evidence from our side, and proven that 75 per cent dependable water availability in Mahadeyi is about 115 TMC (variable due to quantum of rain every year),” Parrikar wrote. “Indirectly… 115 TMC water is available. Requirement in Mahadeyi basin of Maharashtra, Karnataka and Goa is about 145 TMC. Therefore the river basin is negative on requirement. Therefore water cannot be taken from the river… to some other river,” Parrikar added. He also said the issue has been given a negative slant by several NGOs on ground and by media reports. “I have said again and again and the letter says I am ready to talk within the parameters of the Mahadeyi Tribunal. What does this mean, they should tell me, and using my letter as a context, if they write to me, I will explain to everyone,” he said. With Karnataka going for elections this year, many have challenged the context and timing of such a letter, even as the matter is before a tribunal. “I have taken enough precautions in the letter to ensure that Goa’s interests are not compromised. Some people (in Goa) say they want Mahadeyi water for drinking purposes. They should go back 15 years in history and they will realise that I have provided for drinking water. I have only initiated all those schemes and completed… None of them have happened during Congress regime. I will give you the dates. Who built check dams on all rivers including Mahadeyi, I built them. Pumping stations were built during my tenure. The issue is of diversion of the water,” he added.